This is Romomart's Custom designed Paper Bag having Dimensions 9" x 6.1" x 2.1". 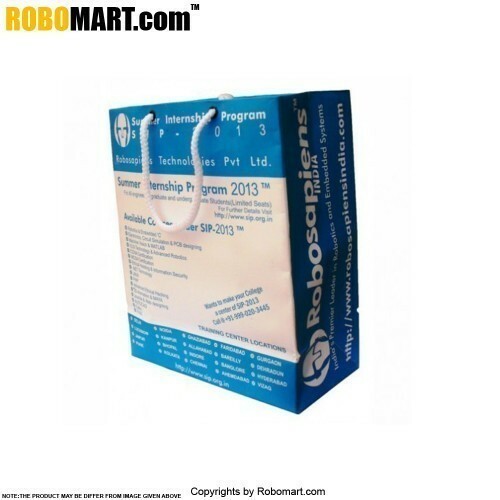 This is a recyclable and environment friendly paper bag and is supplied with small items purchased from robomart. · Dimensions 9" x 6.1" x 2.1" .